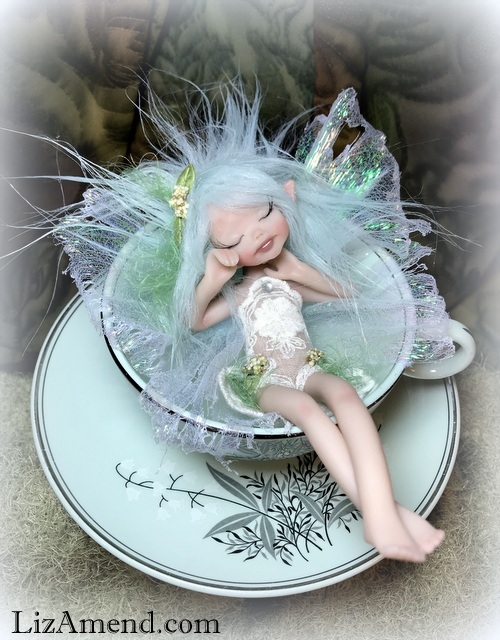 Sleeping teacup fairy measures about 5.5 inches long. 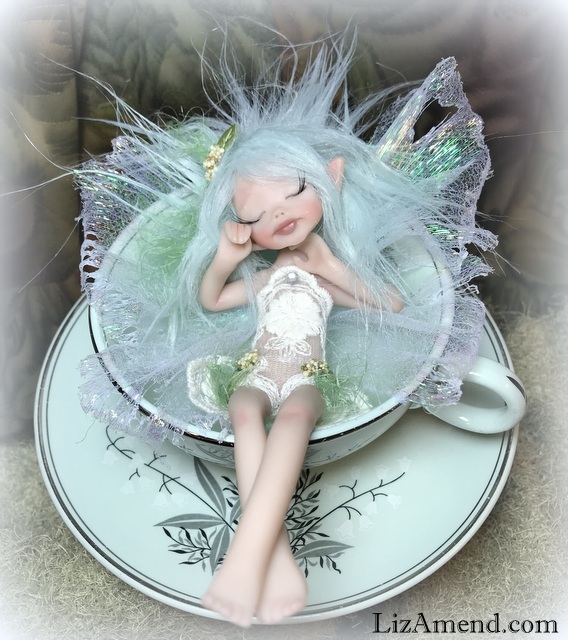 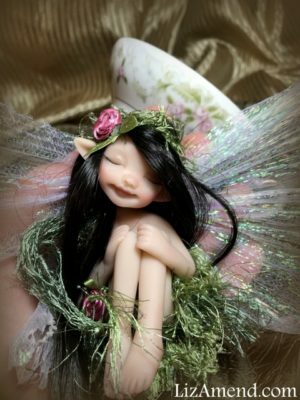 This sleeping teacup fairy measures about 5.5 inches long. 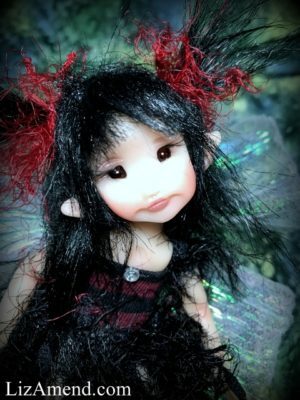 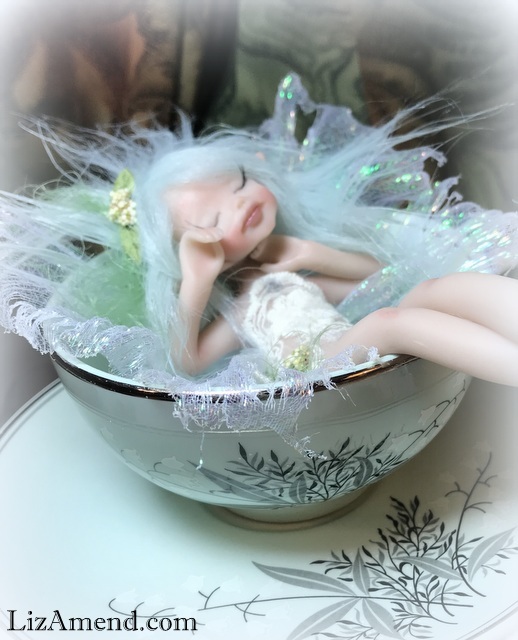 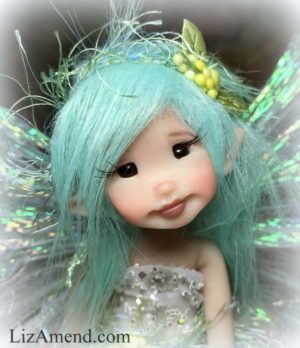 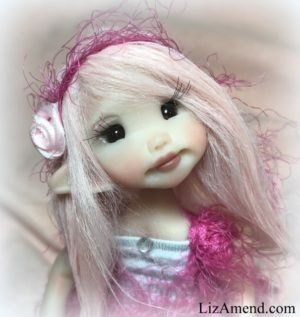 She is sculpted to lay inside her vintage teacup and saucer, she is removable.